I adore bags of all sorts. Purses, diaper bags, tote bags, bags under my eyes…okay not that last one. But as for the rest, I love them all the more if they come in bright prints. Due to my bag obsession, I naturally love Thirty-One Gifts. I was actually a latecomer to the party – they’ve been around for eight years, but I first discovered them when a sweet friend gave me a personalized Thermal Tote as a baby present for Noah. Besides the fact that I was thrilled to have another excuse to carry around a brightly-printed bag, I had no idea how much a thermal tote was necessary for a baby – I’m pretty sure I’ve used it at least twice a week since he was born, but it still looks brand new. 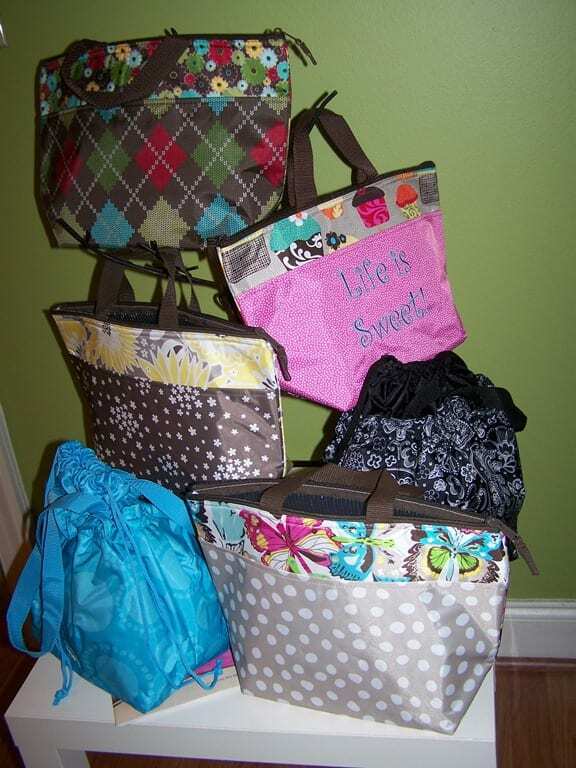 Thirty-One does have a lot of fun bags of all sorts (purses, thermal totes, utility tote bags, laptop cases…), but they also have other products like stationery, home organizers, and aprons. And you can also add embroidered personalization to most of the products, making them more meaningful to you and for gifts for others. I love that the name Thirty-One comes from Proverbs 31, to celebrate hard-working women who are compassionate, giving, and inspirational to their families and the people around them. I also really appreciate the fact that the founder was a working Mom that set out to meet a need that she had: a way to buy cute, boutique-like products after work hours. She also wanted to provide a way that women could make extra income for their families. Thirty-One offers two ways to purchase their products: either online, or by hosting a real or virtual party, which also lets you earn free products. They also have a special for the month of February, where if you order $31 worth of products, you get 31% off of any product of your choice! Colors like those just make me happy! …and she graciously offered to give away a tote stuffed with fun and inspirational goodies to two of you! There are four Thermal Totes to pick from, which are perfect for carrying around lunch, drinks, and accessories for kids. Or, the other two bags are Cinch-It-Up Thermals, which are bigger than most thermal bags, and can hold either a gallon jug or 12 cans of Coke. Check out the Thirty-One Catalog and telling me your favorite product. This giveaway is open until Monday, February 13th. The winner will be randomly selected and posted on my giveaway winners page on Tuesday, February 14th. Disclaimer: I was not compensated in any way to write this post. My opinions are always my own. And don’t judge me for my non-matching purse addiction. I <3 31 Gifts, and would love to win this! My son really needs a new lunch box, and those thermal totes work great! I love their utility totes, and I heard that they re-designed the support system to make them stand up better. Even more awesome! Wow!! Those are some impressive parties!! Congrats to you! But seriously, I love the large utility totes for all the weddings and events I do! I would love to help your brides choose gifts for the Briadl Party, or totes to haul away their loot from the event! I love 31 Gifts, as I too, have an obsession with bags. (Something else I didn’t realize we had in common.) 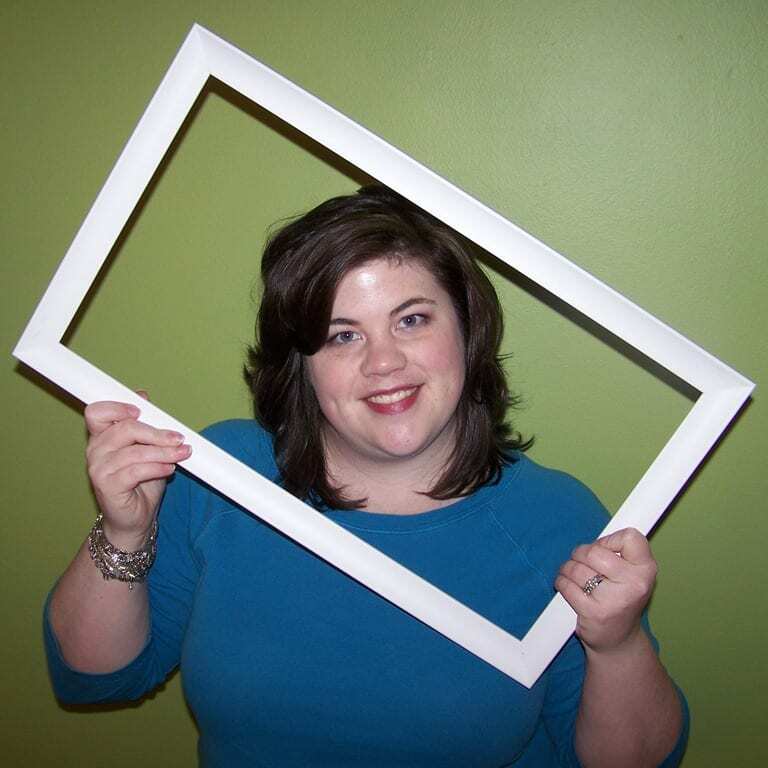 I recently “lost” my consultant, so I’m glad to know Emily is one. Girl, I would love to do a party with you and your gal pals…email me and we’ll set it up—You have to see these products in person! Would love to be entered in the give away. I know a young mom who’s husband lost his job. She was able to provide an income for them as a 31 consultant. I would love to have the organizer wallet with the long strap. Ever since I had my daughter, now 11, I got hooked on carrying a similar wallet in the diaper bag or now my purse. When I go the store I grab it, leave the larger purse in the car, sling it across my body and shop hands free! I follow you on Facebook. Thanks for the laughs and the sweet memories of my own daughter that your stories remind me of. I love the skirt purses, and how you can change out the “skirts” to coordinate with your outfit or the season. That’s great! They seem like an awesome company to work with. Do you want me to connect you with Emily to get a feel from another consultant as to how it works? Or do you have someone local you’re working with? Thanks so much! I do have another consultant I am working with but I would love another perspective. I would love to hear from Emily. Thanks! I’m following Emily on Twitter. I think those are very pretty and useful. Need one. It’s all about Celebrating, Encouraging and Rewarding women! I love hearing all the comments on Thirty-One—I love this company! Anyone interested in hosting a party, or learning more about the company, please feel free to email me…I’d LVOE to talk with you more! My favorite from the catalog is the organizing utility tote. I love the “skirt purse” so cute! I just got my first 31 order a couple of weeks ago. Love the products and love the company’s mission. My pick from the new catalog is the Skirt Purse in Awesome Blossom. I like it so much that I ordered it earlier in the week! “Matching”? What is matching? Is your bag supposed to match your outfit? Because I’ve only got two bags right now – one is a green and purple backpack I got in grade 9 and the other is a khaki shoulder bag that I bought because the bottom had fallen out of the bag that I was carrying. I kind of fail at the whole “girly” thing. Excellent. I’m thrilled to know I’m not alone. The thermal totes would be awesome with little kids. What a great idea. I would love style thermal lunch tote! So cute! I love their products but don’t own a single one. YET. Here’s hoping. You NEED Thirty-One in your life! I use a variety of products every day. I like the Retro Metro Weekender in the black paisley parade. I love bags, purses too. There were so many cute things in the Catalog. But I love the thermal totes, and the organizer totes. The Skirt purse was adorable too. I like the Lil Hostess apron. I also follow you on Facebook and Twitter! :) Thanks! Oh , I love 31 Products.! I just ordered some yesterday from my friend who sells. Love the new catalog and the new prints. Please enter me! I love these bags… So neat! Right now my favorite product would be anything with the Flutter print. I am eyeing the Demi Purse. I have the Demi, and I love it! It’s bigger than it looks too! oooo, I love 31 Gifts! And my favorite product would be the Organizing Utility tote in Awesome Blossom. I love the polka dot with butterflies thermal tote! So cute! Now following you on Facebook! It’d be great if I won, but I can’t make up my mind which one I like the best…. I love the black & white cinch sack too! 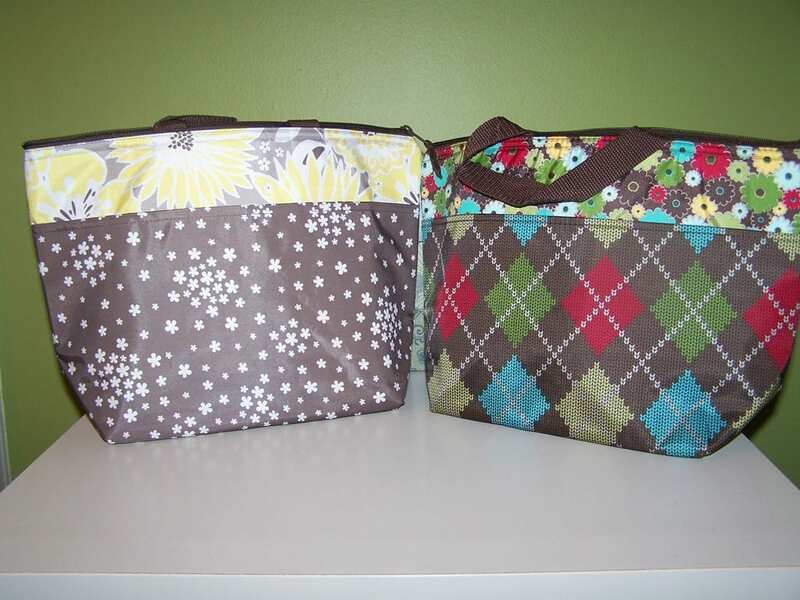 I love the “All in one organizer” and the “Organizing utility tote”! I guess I’m into “organizing” haha! I like the cinch up thermal tote from their catalog. Your blog is my favorite blog to visit. I sometimes have my teenage boys read your blog because of your creative and expressive writing style. I’m hoping it’ll spark some creativity into their writing. Thanks!! :) Blogging definitely does give an extra incentive to write. I’d love to teach a high school course on “Blogging for English” sometime… if I could ever find the time! I just checked out the catalog….and I really like the picnic baskets! So perfect for a day like today! Well I’m more behind then you because I’ve never heard of these before! But I’ve always wanted a thermal tote for picnics and bbq’s and stuff. That would just be handy to have! I love 31! And here’s my entry #1. My favorite product is the storage tote. I have been meaning to go to one of these parties and haven’t been able to. A friend of mine is a consultant also. :) Thanks for the giveaway. I have never seen these before either, but they are stinking adorable. They look like great bags. I’m always looking for something insulated to carry covered dishes to outings versus lugging a heavy cooler. Lots of thermal sizes to choose from! I would love to help you pick one out! I love their thermal totes, they are perfect for day trips! How pretty! I want one! I LOVE Thirty One! Awesome Giveaway! I love thirty one bags. I love these products. So pretty! I want the cupcake thermal tote! Such fun prints, love them! I LOVE Thirty-One and just ordered my first 2 bags from them! My favorite item is their Fifth Avenue Purse in Denim! I love 31!!! Those are some adorable prints. I must check out the new catalog! You can order directly from my website…no party necessary. BUT, parties are so fun! Book yours today! I think the denim metro retro is cute, practical and woderful. I think the 5th Avenue bag is great! This is a good way to get comments. :) I looked at the catalog. I like the little totes for holding things. But, to be truly sold, I need to see this product. :) Besides Feb. 13 is my birthday. That’s awesome!! I hope it goes great – be sure to let me know!! Those are adorable! Always, always, always need a new bag to carry kiddo food. Because, we all know you can’t leave the house with less than a 3 day supply of food for a 2 hour trip. I share your affinity towards non matching brightly colored purses and bags! And I love your blog, it makes me happy! WOW! They have expanded since the last catalog I saw. It is too hard to choose between the utility tote and the Making Memories thermal. Looking at the catalog…(and hoping to move out of the diaper bag stage soon), I like the Demi Purse. 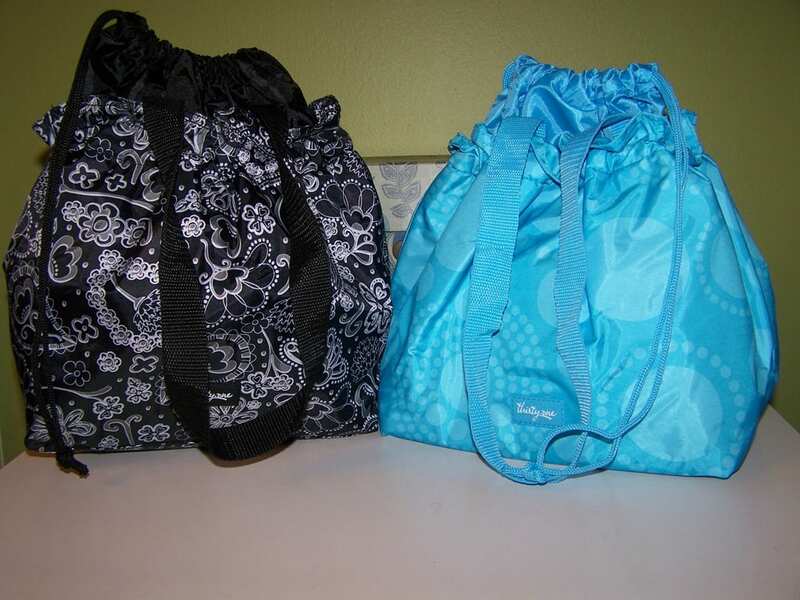 My favorite thirty-one item is the large utility tote, great for storing toys or other things around the house as well as to put in the trunk of your car! wow, I’d never heard of this company! I’m not usually a big fan of entering giveaways, but this might pull me out of my shell…. One product and you’ll be hooked! After looking at the catalog, I think I’m hard pressed to decide which I like best – the totally awesome tote, the around town blanket, or the skirt purse. I really like their prints too! I am totally obsessed with thirty one’s bags! Thanks for having the giveaway! My favorite product is the large utility tote in circle spirals! I follow ObjectivtyRach on Twitter! Are we able to tweet this giveaway daily or just one time? My wife was talking about this giveaway & was really excited so I figured I’d enter & try to win for her. I think she would like the wallet or a bag. 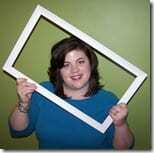 I had never heard of thirty one til I read your blog. I love all the colors too! My favorite product is the organizing utility tote. Big enough to hold everything you may need. Would love one of these!!!! I follow you on twitter/facebook! I’m always interested in a new bag & I love the company name and philosophy! I checked out the catalog – I like the Cindy tote in grey quilted poppy. So pretty! I love the Cindy Tote. I have one in black. I also like the zip up pouches…there are so many uses for them! I love the organizing tote! I follow Emily on twitter (@RebeccaFH).